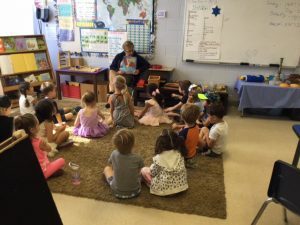 The Kochavim class spent September learning about the Jewish Holidays and their traditions. 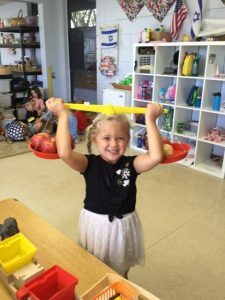 Rosh Hashana gave us a chance to explore apples. We measured ourselves and had a taste test to see which were the most delicious. We learned about bees and made greeting cards for our families. We read “Apples, Apples, Apples”, and “Sammy the Spider’s First Rosh Hashana”. It was a sweet start to the new year. To learn about Sukkot we made decorations for the Sukkah Our fine motor skills improved by painting leaves, cutting apple chains, and decorating Jewish stars. 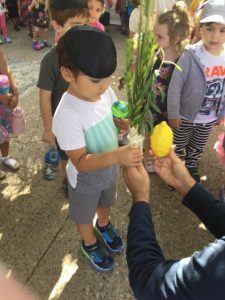 We enjoyed eating in the Sukkah and listening to Rabbi Josh and Cantor Hanan talk about the lulav and etrog. We read “Jonah and the Great Big Fish”. 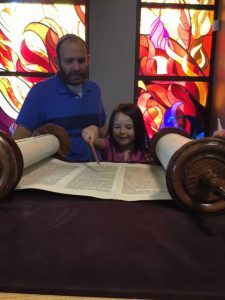 We visited the sanctuary for Simchat Torah, and learned about parts of the Torah. We also made Israeli flags.